Mystery of Zelda continues! 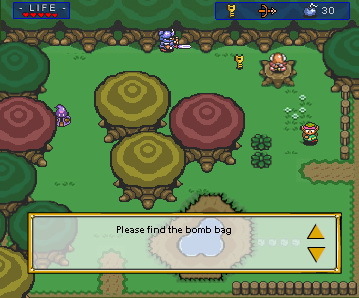 The free kid's game called Adventures of Zelda is back. Zelda game comes with additional levels and a variety of exciting features. It is simply amazing the amount of adrenalin released by a small game like this. It is your turn to lead the fallen princess Zelda through the dangers of this evil empire. Be careful, you do not have many friends! Qweas is providing links to Adventures of Zelda 2.0 as a courtesy, and makes no representations regarding Adventures of Zelda or any other applications or any information related thereto. Any questions, complaints or claims regarding this application Adventures of Zelda 2.0 must be directed to the appropriate software vendor. You may click the publisher link of Adventures of Zelda on the top of this page to get more details about the vendor.